One of the only intact Keith Haring murals is getting restored thanks to the city of Philadelphia. 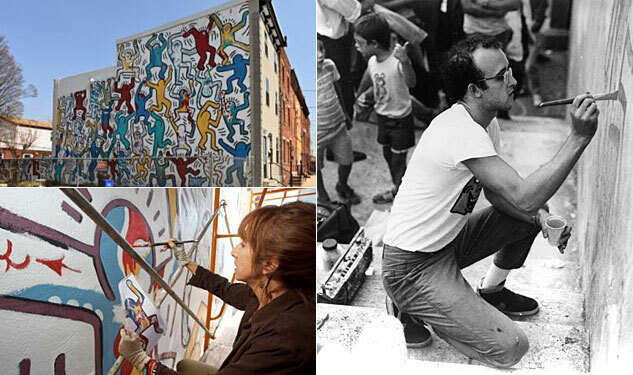 The legacy of beloved out artist Keith Haring won't be lost in Philadelphia — the City of Philadelphia Mural Arts Program is restoring a mural he created in the city in 1987. The playful "We the Youth," located in South Philadelphia, will survive another 26 years, hopefully. With funding from the Mural Arts Program and the Keith Haring Foundation, recent damage to the mural's wall is currently being fixed. Officials say the mural "is the only Keith Haring collaborative public mural remaining intact and on its original site." It was created in collaboration with CityKids of New York and Brandywine Workshop. Watch a video of Haring creating the mural below.